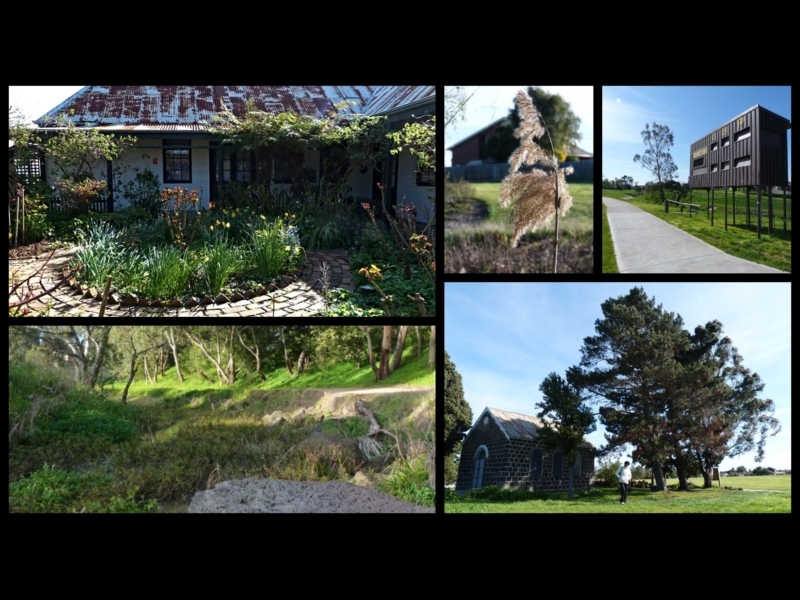 An easy and very accessible walk along the creek, passing by an historic church and an original 1850s farmhouse. There is a playground and excellent picnic spots along the way. 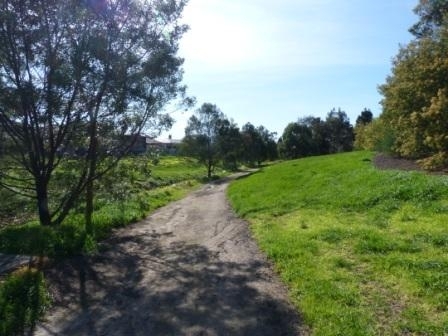 From the library walk towards the creek where there is a very well maintained gravel track going north alongside the creek. You will soon come to the oval behind the library. Keep to the right of the oval. The gravel track ends and a paved track begins. Cross the bridge and continue to follow the creek northwards. Soon you have a choice of continuing along the paved track or taking a detour to the left down a dirt track. This is a very scenic detour which meets the paved track again after about 200m. Continue to follow the path along the creek until you come to the road bridge. Cross the bridge and turn left into the Thomastown Lutheran Church grounds. Follow the track up to the church. This is a beautiful spot for a picnic. 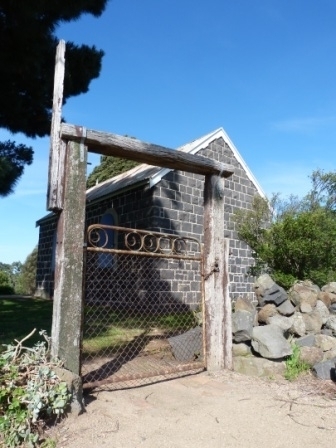 The oldest operating Lutheran church in Australia, the Thomastown Lutheran Church occupies a commanding position at the centre of the original Westgarthtown settlement's 640 acres. Dedicated on 17 November 1856, the small church, with its coursed bluestone walls, gabled iron roof, detailed bargeboards and half-round arch head windows and entry doors, was built at a cost of at least £320. The church is considered to be of state and national significance and is included on Victoria's Heritage Register. Continue to the end of the path that exits onto Gardenia Road. 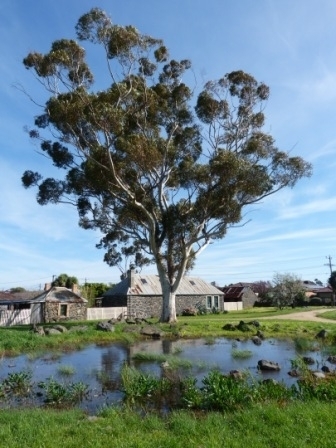 On you left is Ziebell's original farmhouse, barn and other buildings that have been lovingly restored by the City of Whittlesea. They represent the heart of Ziebell's original 102 acre farm, named The Pines, the largest in Westgarthtown. Built between 1851 and 1856, with 61 cm thick stone walls, the house is a typical German farmhouse design. The beautifully maintained gardens remain much as they have done for the past 150 years. The farmhouse is open on the second Sunday of each month from 1 - 4pm or by appointment. Walk south along Gardenia Road, back towards the library. 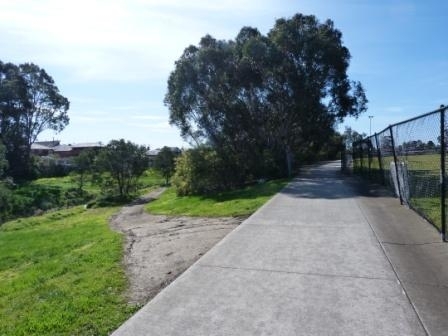 At the end of Gardenia Road there is a paved track heading down towards the creek, take this path. There is also a Gazebo, barbecue and car park here providing an alternative start and end point for the walk. Follow the track past the playground and back to the library. 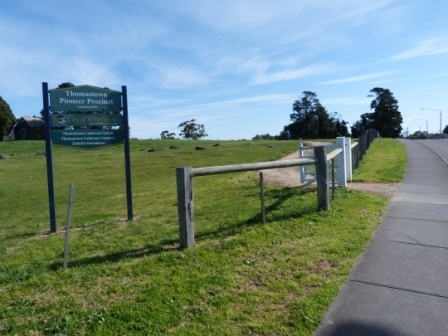 Facilities: The walk has a small section of very even gravel track, but is mostly paved, and as a result is suitable for prams. 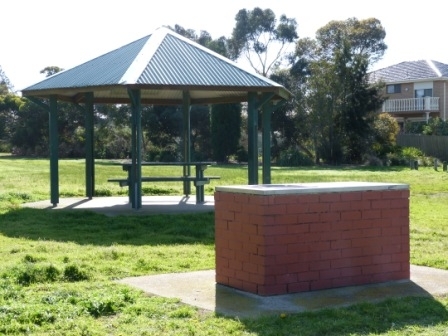 There are also two playground along the way and a gazebo with a barbecue. For food and refreshments there are shops and cafes near the train station. 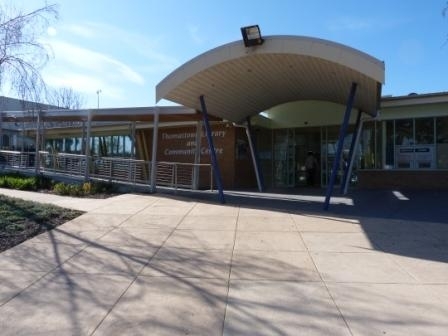 The walk starts and ends at Thomastown Library. The library has a large car park and very well maintained toilets just inside the entrance. The walk is also very easy to reach via public transport. 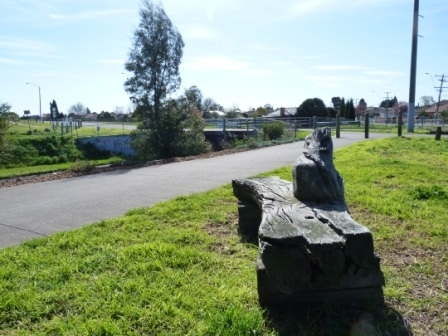 Thomastown Train Station is only 600m away at the eastern end of Main St.
Never been to Thomastown? 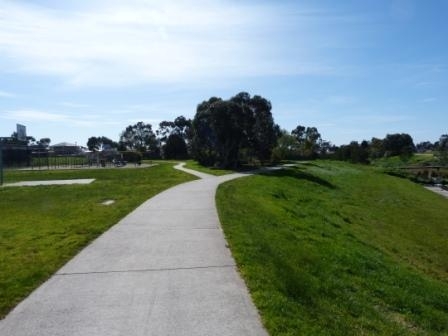 Greenery, history and plenty more on this delightful, easy 2.4km stroll. It is a large and bright space with a spacious childrens area and collections in Arabic, Italian, Macedonian and Turkish. 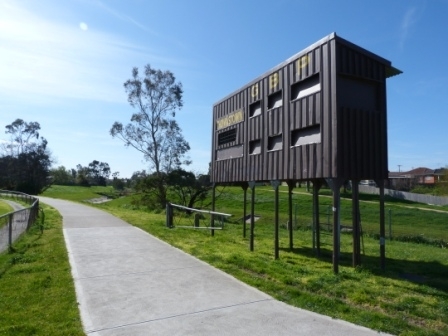 If you pass the scoreboard you know you are on the right track. The first playground on the walk with lots of activities for the kids. Optional scenic detour along a dirt track which brings you closer to the flora along the creek. 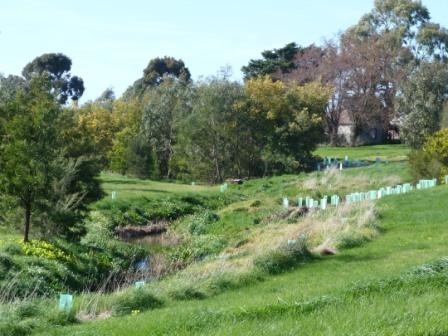 A view along the creek bank with signs of recent native flora revegetation work. Another great opportunity for the kids to sea-saw, climb and swing. A beautiful carved wooden seat offers the opportunity for a rest. After crossing the bridge you will see the entrance to the church grounds. The old church gate with the wonderful 1850s Lutheran church in the background. Our first view of the old 1850s farmhouse. 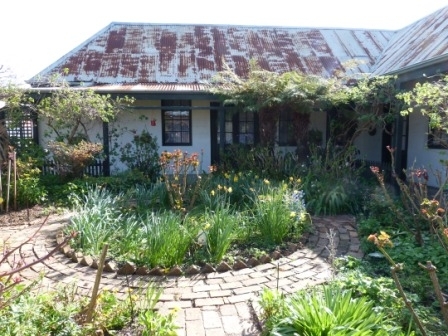 A view of the wonderfully maintained gardens in Ziebells Farmhouse. The buildings here represent the heart of Ziebells original 102 acre farm, built between 1851 and 1856. A optional start and end point of the walk offers the chance to enjoy a barbecue at the end of your walk. 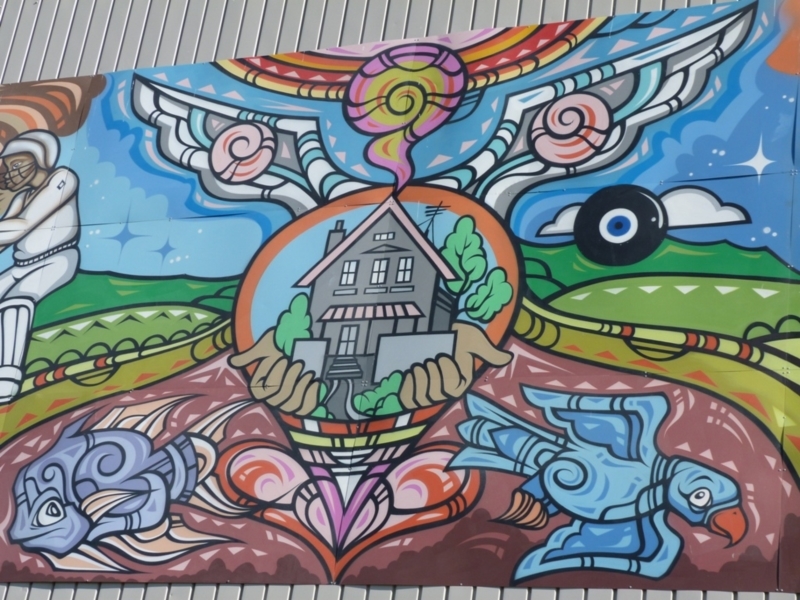 Part of a large mural running along the rear of the library building.